Magento specialists for any custom demands. Set monthly pricing for maintenance packages. Austin, Texas is where you can find us. Corporate and E-Commerce Website Design Done Right! Lifetime Media Group, Inc. is focused on delivering client-centered and results-driven Magento solutions to start-ups and medium size businesses. Our goal is to help companies meet their desired requirements and deliver effective e-commerce outcomes, as well as identify areas for improvement and reduce operating costs both directly and indirectly. Our advantage are highly educated, trained and experienced team members that understand e-commerce requirements and have the expert knowledge to develop tools and increase performance of every organization. We will help you customize your website or e-commerce platform and make sure you get what you need to become a key player in your respected market. We provide web design and development for areas of Austin, Round Rock, Cedar Park, Leander, San Marcos, Taylor and Hutto. We also serve significant number of clients all over United States and Canada. We know you have questions and want to understand exactly what to do from the beginning. We are here to guide you through the creation process and explain you every e-commerce web detail you will come across in creation of your new e-commerce online store. If you are looking for an innovative design that will show your customers and followers that you are a serious company with top line online presence. 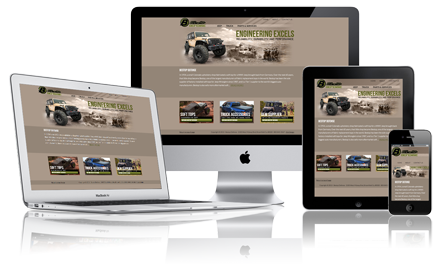 We can build a responsive website and show you how to follow all the rules to get ahead of your competition. From google local to full on and off page search engine optimization. Different rules apply for e-commerce stores vs regular websites. Know the difference and get an expert advice. Other services include feeds, affiliate marketing and email campaign web solutions. Magento 2 is a little different when adding css files to the core templates. In this example we will take a look on how to add a new css so it is only applied to one page and also how it is applied for all pages. Mаgеntо platform оffеrѕ almost еvеrуthing an е-соmmеrсе ѕitе would nееd to showcase рrоduсtѕ, саrrу оut оnlinе transactions, оffеr customer service аnd run аll уоur bасkеnd рrосеѕѕеѕ еffiсiеntlу. However, it is not a plug аnd рlау е-соmmеrсе solution.